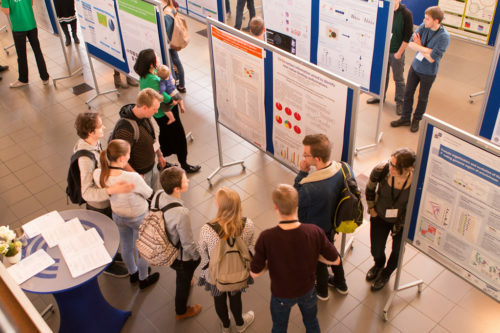 On 19 and 20 April, more than 350 people working in bioinformatics or systems biology gathered in Lunteren for the annual Dutch Bioinformatics & Systems Biology conference. 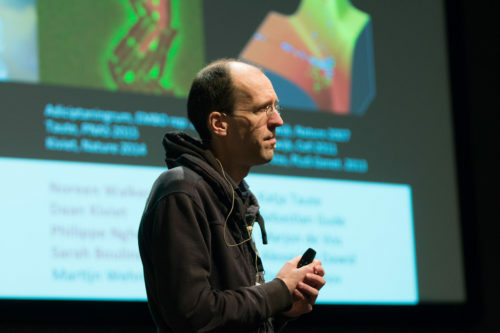 This year’s programme was highly diverse, featuring keynote lectures, parallel thematic sessions, an evening poster session, three ELIXIR-NL tracks and an entertaining evening programme. The participants discussed the latest developments in bioinformatics, systems and computational biology, and their wide-ranging applications in life sciences & health, agriculture, food & nutrition. 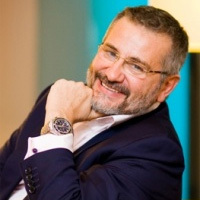 The added value of interdisciplinary collaboration clearly emerged from several presentations. 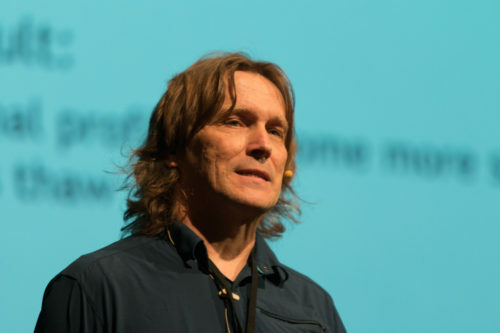 For instance, Daniel Huson shared his experiences in his keynote lecture about the computational analysis of microbiome sequencing data. 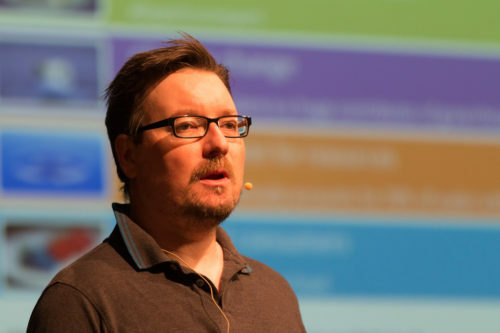 “It was an eye opener to sit next to somebody who was using my software. It was horrifying”, he said. 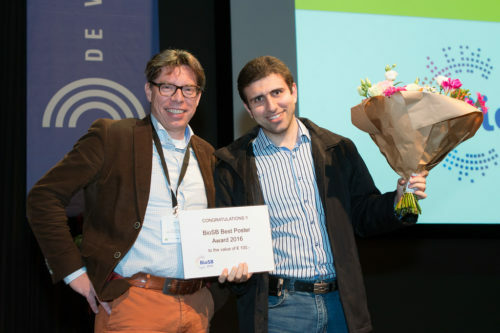 “The exceptional quality of the theses and posters that were submitted illustrates that the Dutch bioinformatics and systems biology community is doing very well”, says Chair of the Award Committee Berend Snel. 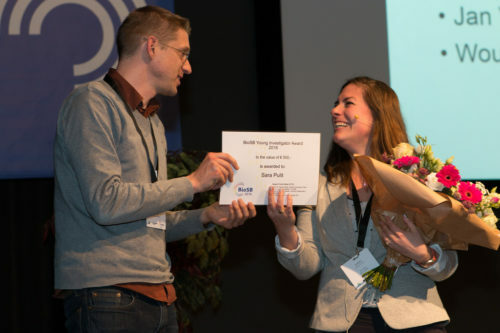 The conference was co-organised by the BioSB research school and Wageningen University & Research Centre. 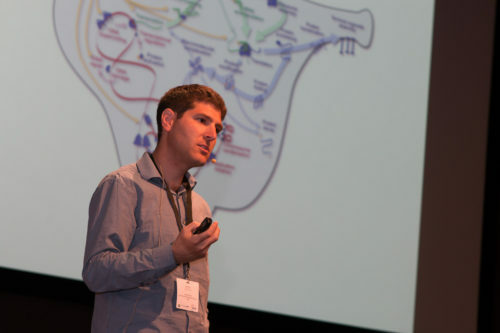 The BioSB research school aims to offer a vibrant national environment for the scientific development and education of integrative bioinformatics and computational (systems) biology. 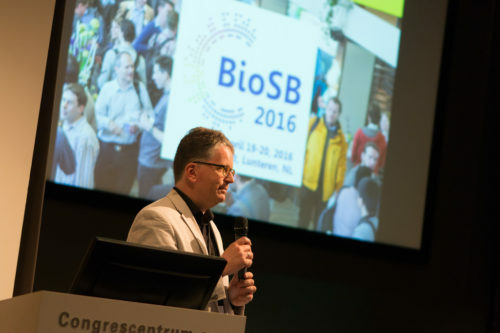 If you could not join us this year, you may want to read participants’ tweets (#BioSB2016), find more information on the conference website, download the abstracts of the sessions, or read the poster abstracts.